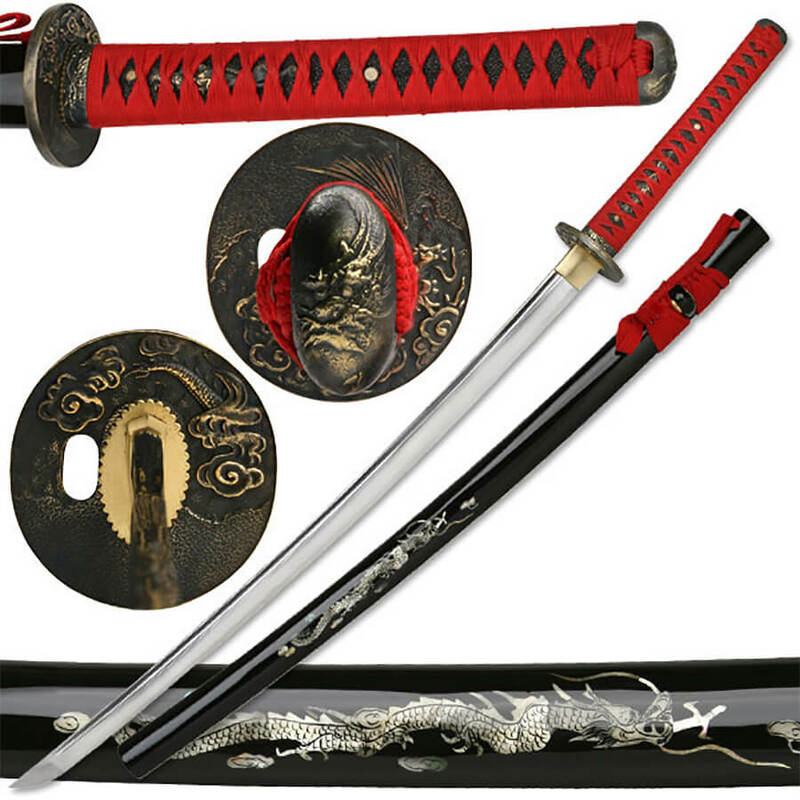 The handmade Bushido Blood Dragon Katana features a hand sharpened full tang carbon steel blade with bo-hi. 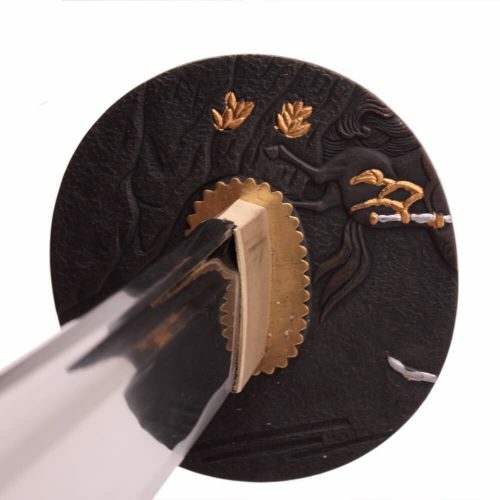 This is one of our most popular katanas! 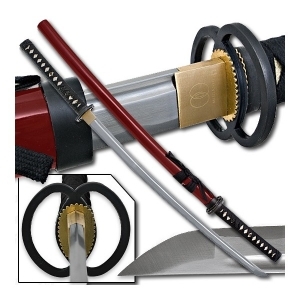 This Bushido Katana Includes Free Sword Bag and Maintenance Kit!Bushido makes high quality swords at affordable prices and the Bushido Blood Dragon Katana is one of their best examples of quality and value. The Blood Dragon katana is hand forged using the tradional Japanese Maru technique. 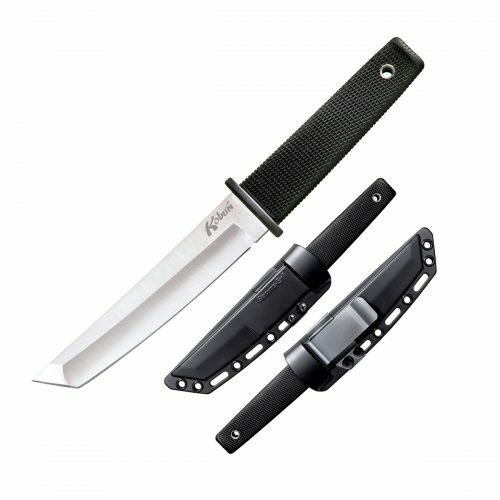 Featuring a hand sharpened full tang carbon steel blade with bo-hi, this is one of our most popular katanas. The tsuka is wrapped in striking high grade genuine red rayskin and the hand lacquered black wood saya is decorated with a genuine mother of pearl dragon.Full tang double pegged katana. 2.4 lbs weightThis is a sharpened battle ready katana.